Recorded at Western Works, Sheffield October 1979. Produced by Geoff Travis, Mayo Thompson & Cabaret Voltaire. Stephen Mallinder: Vocals, Bass Guitar, Electronic Percussion. It's 1979 and 'The Cabs' release their burning, flamethrowing and pulsing 7" 45 opus- "Nag Nag Nag". ...eventhough The Cabs had been developing their collective skills in darkest sheffield for the last six years. Sure enough, that best known 45 single has that raw energy and futuristic feel as well as a fine document of the political low that was hovering over the UK. Plus, it also featured a snippet sample of the voice of British astronomer extraordinaire- Patrick Moore- his clipped tones riding along that scorched beat and infernal treated guitar for just a few seconds, but it just melds together perfectly and adds to the whole dynamic. In essence, 'Nag Nag Nag' was also a sister track to their cover version of The Seeds' "No Escape", due to the similarity of the treatments involved, which appeared on their debut album- "Mix-Up". It was also a mainstay of the infamous 'alternative/indie charts' that had started to appear in the music weeklies. Hey, there's a formula...and Richard Kirk was saying in interviews at the time, how he was in the process of signing off the dole! But...rather than repeat the process with another 'punk friendly' 45 (as brilliant as the 'Nag' single was), they released 'Silent Command'. Although it has recently been praised (together with lots of music from this era) and also included on a free CD with one of the UK's monthly glossy music mags, back in 1980 however, it slipped out amongst a mere whisper. I thought the move was fantastic. It was a case of 'expect the unexpected'- and is an interesting bridge between 'Nag' and the singles they brought out later, just before Chris Watson left the fold. This oddball 45 starts off with a short, manipulated, hissy tape segment of a piano before it fades out to a fade-in drum machine rhythm, quietly battling with all the echo sent to it, while some french dialogue is woven into the mix. spiked dub-reggae guitar into it all (we're talking 'Odd' here, as apposed to 'Cod' reggae), before also overlaying his 'trademark' early Cabs lines, along with some great dub guitar ripples. Things get even more perverse as Watson adds little splashes of his trusty vox continental, while Mallinder rubs along with some minimal reverb bass and gives the track a final shape with his gargle-effect Vocals. I always thought the Cabs were great at having an irresistable hypnotic effect, even with their most angular material, especially in these earlier releases. This track in particular, bobs along happily for four minutes and yet seems as if it's only half the duration. After all these years, a smile never ceases to form on my face when I hear this track, mainly due to a situation when I first purchased the single and played it to a friend who had been really into 'Nag Nag Nag'. After listening intently from the beginning right through until the needle hit the run-out groove, he came out with the classic comment: "Oh come on...they're taking the piss....they saw you coming mate....it's utter shite!" He did eventually succumb to it's charm though . "Persistance is All"... as some bright wags said in the mid-nineties. After playing with Joy Division in Amsterdam sometime in 1979, C.V. had gone along to an all-night jazz club where they met up with Amsterdam film maker Babette Mondini, who had been very impressed by their performance and had invited them to provide a soundtrack to her new 37-minute film she had made. 'Chance...' is a very minimal affair, with a crisp thud of a drum machine, a buzzing analogue synth, a distant guitar on the horizon and the odd slowed-down voice and sparse otherwordly sounds, added in to make it quite intense and unsettling which leaves you wanting more. As stated, this is from a much larger recorded piece which is unreleased (but IS out there unofficially). I just think it's great that it's on a flip-side of a single. They had also put a live track from 1975 on the flip of 'Nag', the fly-agaric- 'Is That Me (Finding Someone At The Door Again)'. Being big Roxy Music fans in the the first half of the 70s, they could have been tipping a hat to a couple of those odd Roxy b-sides like 'The Numberer' and 'Sultanesque', although these Cabs flipsides make them sound very commercial to say the least. I would love to see that Mondini film though, especially with a soundtrack like this and it's a shame that there weren't more 'funds' around at the time, so this project (and many others from the era), could have been documented for the sake of the future (imagine a DVD- oh lordy). 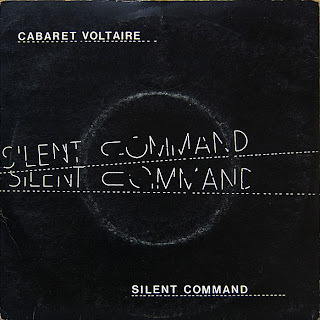 The Cabaret Voltaire 'trio' made some great singles and I would find it hard to pick a favourite, although 'Seconds Too Late' (from early 1981) comes close....there again they all do. But I think it's 'Silent Command' that was a sort of landmark, as they could've so easily followed the 'electronic garage punk' format with the skewed-pulse-beats and rasping guitars 'n' white noise synth blueprint and duly run off with the takings. Chris Watson has said in recent years, how he was at pains with himself in his decision to leave the group. This wasn't because of any fall-outs with Kirk or Mallinder, but Watson's disgust with the workings of 'the music biz'. One thing is for certain, he contributed to some of the most important underground music that was to come out of the British Isles as the 70s nudged into the 80s. 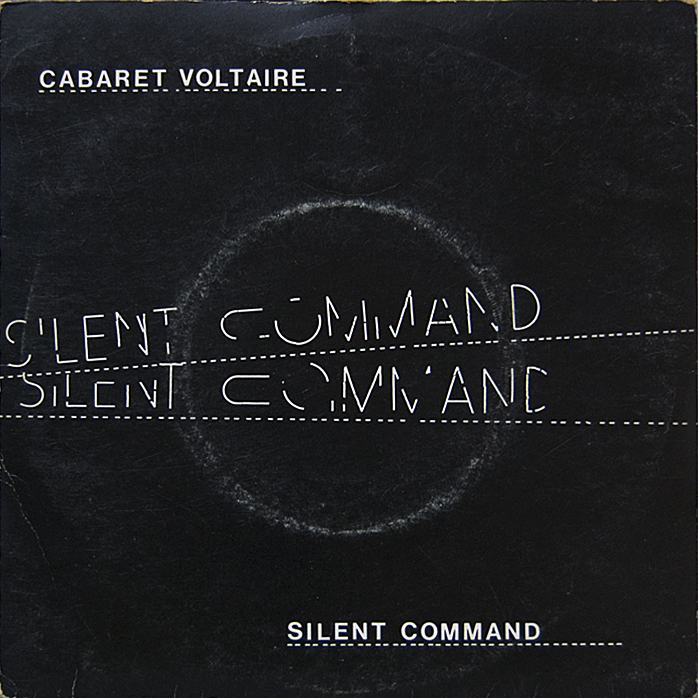 "The Living Legends...Cabaret Voltaire" - an essential purchase. Photo Fix: Miss Beatnik 1959, Venice, California.